Always swiped, zoomed or connected to the latest in tech, we’re often fortunate to be tapped to turn consumers onto the latest electronics brands. Building new brand advocates or creating ambassadors, our goal is simple—create strategies that becomes music to the ears. We invite you to plug in to our consumer electronics case studies below. Want to stay ahead of the curve in the ever-changing world of advertising? 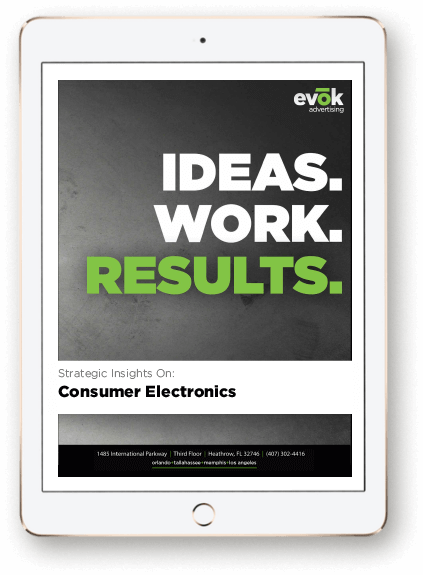 Get the latest insights on the consumer electronics industry in our e-book.